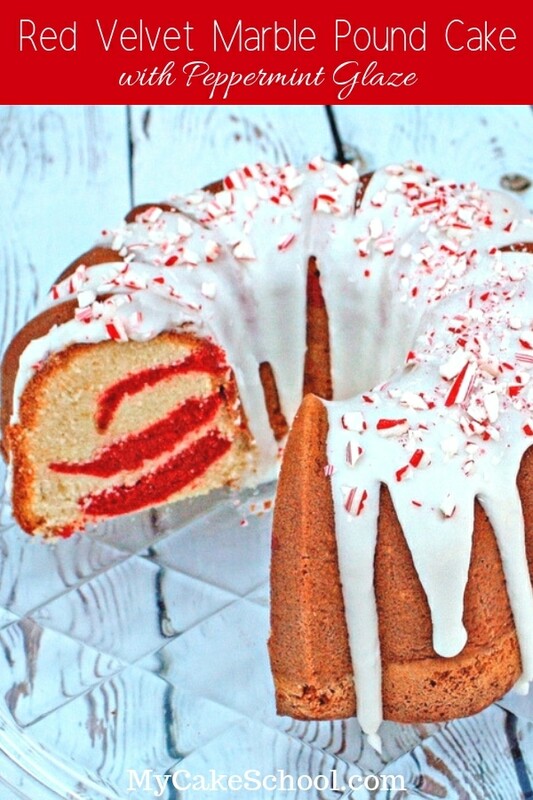 This Red Velvet Marble Pound Cake with Peppermint Glaze is a new favorite of ours for the holidays! It has all of the tenderness and buttery flavor of our classic pound cake, but with the added hint of cocoa from delicious swirls of red velvet. We LOVE this flavorful red velvet marble cake no matter what the occasion or season, but at Christmastime, the addition of a peppermint glaze is perfection! 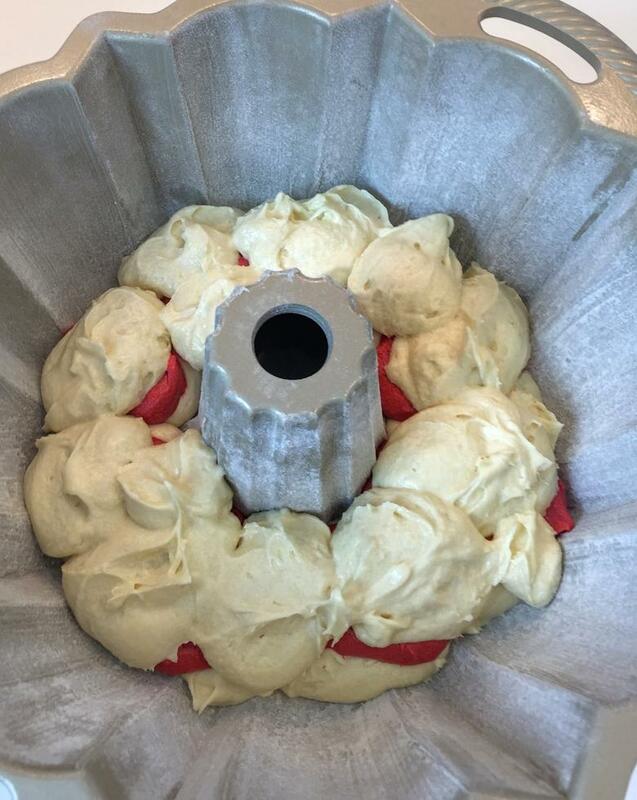 After mixing up the pound cake batter, we reserved a portion of it to create our red velvet marbling. This simply involves stirring in red coloring and cocoa until the color is uniform. 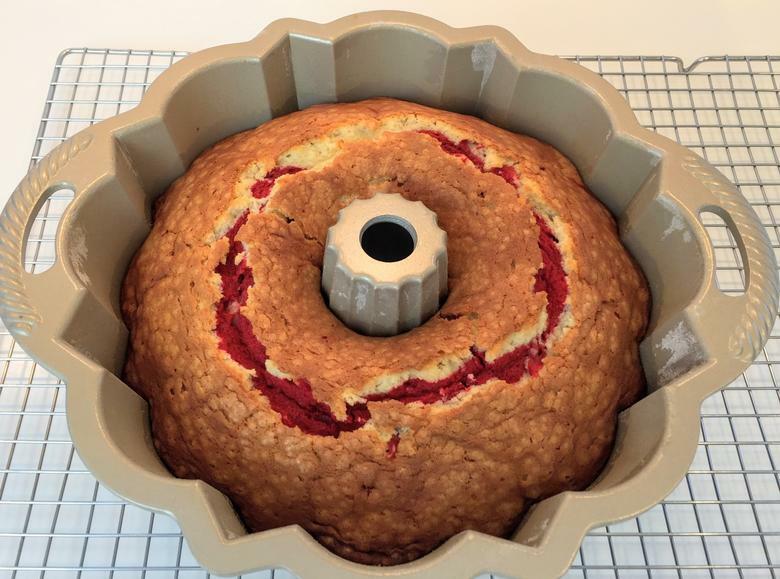 After preparing our bundt pan with vegetable shortening and flour, we alternated between layering our plain batter and the red velvet. Repeat the layering until finished, and tap the pan on the countertop several times to settle the batter. After cooling our cake, we added a simple peppermint glaze for a final touch. I love the flavor combination of the peppermint with the red velvet marble pound cake. We think that the glaze lends just the right of amount of flavor without being overpowering. However, if you are not a fan of peppermint, simply omit the peppermint flavoring from the glaze recipe! We hope that you enjoy this recipe as much as we have! This is such a simple recipe, but the moist and velvety slices are sure to bring rave reviews. Looking for More amazing Christmas Cake recipes? Make sure to add these to your list! 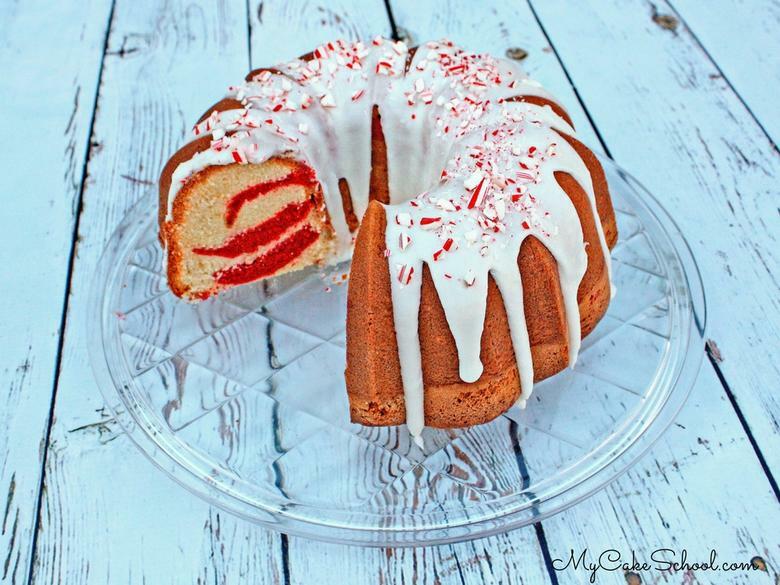 White Chocolate Peppermint Cake– An amazing combination of flavors! Chocolate Candy Cane Cake– So delicious and you’ll also learn to make a striped candy cane filling! Gingerbread Cake– We love gingerbread at the holidays! Gingerbread Latte Cake– The combination of gingerbread and espresso in this cake is out of this world! Red Velvet Cake– Ahhhh…a year-round classic, but especially at the holidays! Eggnog Cake– If you love eggnog, you are going to flip for this flavorful cake recipe! If you’re looking for even more holiday inspiration, make sure to check out our Roundup of FAVORITE Christmas and Winter Cakes, Tutorials, and Recipes! 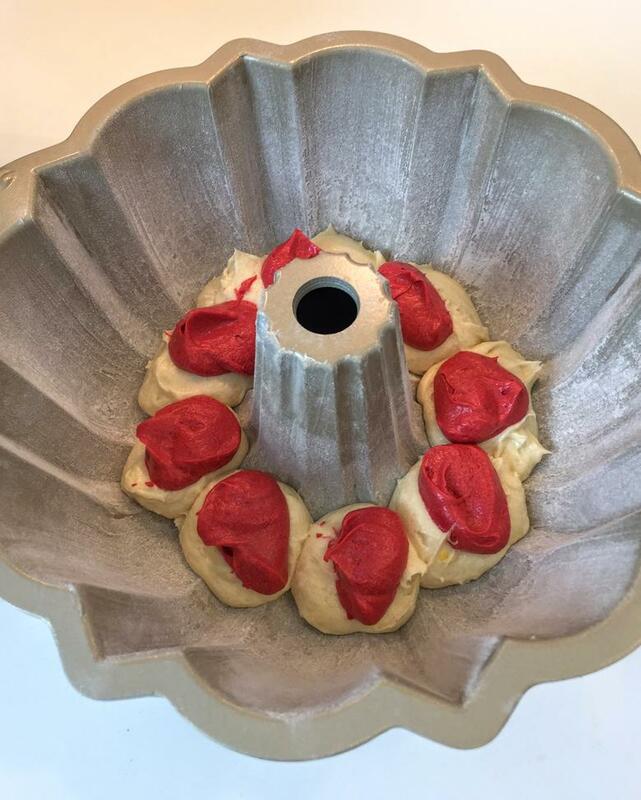 We hope that you enjoy this delicious Red Velvet Marble Cake recipe! Thanks for stopping by! Don’t miss our full collection of tried and true cake and frosting recipes in our Recipes Section! 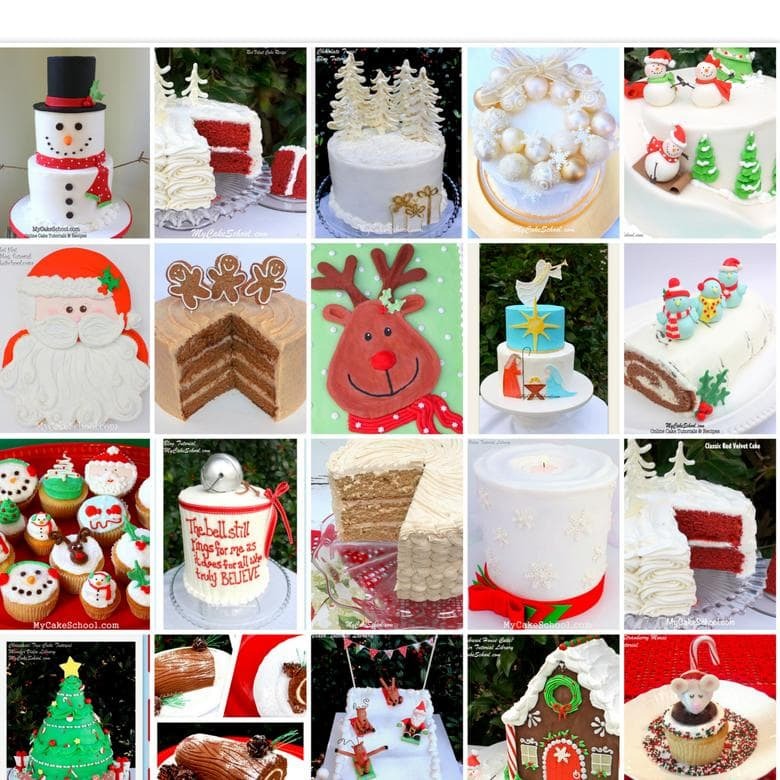 Also, if you are interested in cake decorating, make sure to check out our Free Cake Tutorials Section, or for even more cake decorating fun, consider becoming a member of My Cake School for online access to hundreds of cake decorating videos! Lower the oven rack to the next to lowest position. Preheat the oven to 325 degrees. In a separate bowl whisk the flour and baking powder to combine, set aside. Beat the butter until smooth and creamy. Gradually add the sugar and beat on medium speed for 3 to 5 minutes until it is light and fluffy, may take longer if using a hand mixer. Add the vanilla. Add the eggs one at a time beating after each until the yolk is blended in. Add the flour mixture alternately with the milk, beginning and ending with the flour mixture (3 additions of dry ingredients and 2 additions of milk). Mix just until combined, scraping the sides and bottom of bowl. At this point, you will remove 2 1/2 cups of the cake batter and put into another bowl. Add the cocoa and red food coloring and stir to combine. 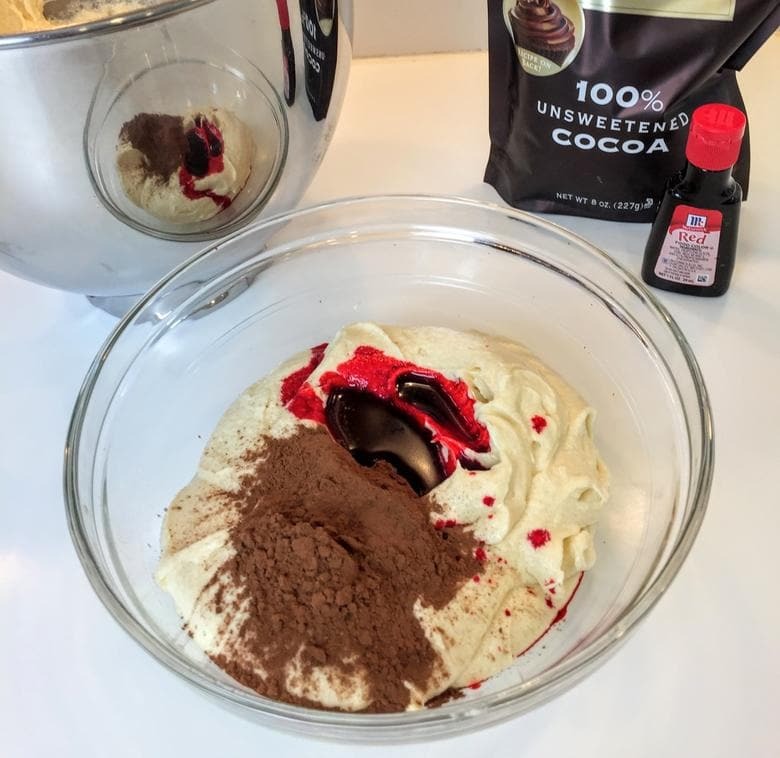 Using a small cookie scoop (1 1/2”) or a Tablespoon, place scoops of the plain batter into the prepared pan, top this with the red batter, alternating each row until the batter is used. You could use a table knife to swirl slightly, or just leave in layers of color. We find it easier to apply to the cake if put into a piping bag. No need to use a coupler, just snip the end of a disposable piping bag to create a small opening. Garnish the top of the cake with crushed candy canes. Lovely….. it looks very nice. Where do I get these kind of molds.